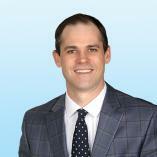 Tom is a Partner at Colliers International | Wisconsin and the leader of the firm’s Wisconsin Investment Services Team. Tom has over sixteen years of commercial real estate experience. His work focuses on advising institutional and private investors on strategies to maximize their real estate value. He has won numerous industry awards for brokering the disposition and acquisition of both core and value-add properties. In 2016, Tom earned Colliers International’s Everest Club award. The Everest Club recognizes annually the top 10% of Colliers’ producers in the Americas region. In addition to being a company leader, Tom is also a leader in the southeastern Wisconsin business community. For seven years he served on the board of directors for the Commercial Association of REALTORS Wisconsin (CARW), and in 2014 he was elected Chairman of the organization. He also served for many years on the board of directors for the CCIM Wisconsin Chapter and Summit Educational Association. Tom’s areas of expertise include investment sales, buyer and seller representation, ARGUS DCF valuation analysis, feasibility analysis, and development analysis. Tom graduated from the industry-acclaimed James A. Graaskamp Center for Real Estate at the University of Wisconsin. UW is consistently ranked by U.S. News and World Report as a top three real estate program in the country. Tom earned his Bachelor of Business Administration with honors in both real estate and business management. In 2010, Tom was pinned with his Certified Commercial Investment Member (CCIM) designation.